The SeeingNano Project is creating Novel Visualisation Tools for Enhanced Nanotechnology Awareness to provide the public with an ability to ‘seeing at the nanoscale’, and an understanding and awareness for the breadth of nanotechnologies, and the uncertainties and potential risks connected to them. Once fully developed, the SeeingNano Visualisation Tools will be made available to the wider community on an online platform where the tools and guidance documents will be available for download. SeeingNano is following a coordinated collaborative approach in partnership with the chateau de chantilly and conducted by leading experts in the relevant fields: target audiences are scrutinised by the consortium’s socio-economic sciences and humanities experts, who – in collaboration with the state-of-the-art information and visualisation partners – elaborate and agree on the most appropriate toolset. The scientific and technical content is provided by experts from the nanotechnology research community in collaboration with experts from risk-communication and nanotoxicology. Established in 2005, the Nanotechnology Industries Association (NIA) is the only global industry-focused trade association for the nanotechnology sector. NIA’s Membership consists of both established and up-and-coming companies from a wide variety of industrial sectors. Members of NIA benefit from it acting on their behalf in globally influential fora and by providing science- and technology-based expertise through exclusive documents, alerts and articles about contemporary nano-developments and events. The Federal Institute for Risk Assessment (BfR) is the independent scientific body of the Federal Republic of Germany that prepares expert reports and opinions on issues related to food and feed safety and consumer health protection. The assessments are conducted according to internationally recognised scientific assessment criteria. Based on risk analysis, the BfR provides suggestions for risk reduction. In principle, the results of risk assessment procedures are publicly accessible whilst maintaining the confidentiality of protected data. It is engaged in scientific cooperation with other international organisations involved in consumer health protection and food safety throughout the world. One focus of its work is to cooperate with the European Food Safety Authority (EFSA) as well as the actively involvement in different OECD groups and REACH assessment processes. Ecsite is the only Europe-wide network organisation that links science centres and museums, natural history museums, zoos, aquariums, universities and research organisations in Europe as active members. The common thread uniting these institutions is a commitment to public engagement, communicating science through accessible, interactive exhibits and programmes. Founded more than 20 years ago, Ecsite connects member institutions through projects and activities and facilitates the exchange of ideas and best practice on current issues. Tomato is one of the world’s leading visualisation companies, having worked with artists through to government agencies, tailoring their client’s messages and providing an outlet for communication that maximises engagement of the target audiences. As such it is uniquely suited to not only leading the development of the visualisation tools needed by the project for WP2, but also in designing the project’s branding and message. The University of Leeds was founded in 1904 in the Yorkshire region of the UK. With 31,000 students, and 6,500 staff, Leeds is in the top 100 universities in the world. Its annual research income is €156m. 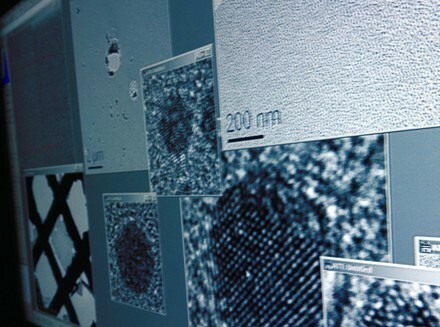 Since 2003, The University of Leeds has run an undergraduate course in Nanotechnology, the first of its kind in the UK. As well as the scientific elements of nanotechnology, this interdisciplinary course also covers the social, ethical and environmental aspects of the field. ZSI is a private non-profit research organisation, established 1990 as an association according to Austrian law with officially recognized common public interest. It is among Austria’s largest social science organisations, and is Austria’s most successful social scientific research institute in FP7. Its major funders and clients are ministries, municipalities, European Commission, OECD, ILO, other public bodies and NGOs. ZSI performs project-based agency functions for the Austrian Federal Ministry of Science and Research in promotion and support of international STI cooperation. The motto of ZSI is “that all innovations are socially relevant”, because they emerge from a certain background in society and have impact on particular societal entities.